When our kids are sick we try to do everything in our motherly power to help them get better quickly and be comfortable in the process. We put cold compresses on feverish heads, we make sure they are getting enough fluids, have enough pillows and get enough rest. Ever since I can remember Children's Tylenol has been a Dr recommended and trusted household name for helping reduce fever and pain when kids are sick, helping them get back to their every day normal. There's nothing worse than when your kids are sick, mine recently fought a nasty bout of the cold complete with cough and runny red noses. 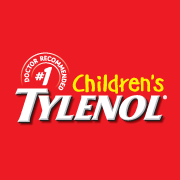 It brings peace of mind knowing we can help make them comfortable with a trusted brand like Children's Tylenol. Children's Tylenol Canada's new Care and Share section on their Facebook Page is a place for parents to share tips and tricks they use when their family is not feeling well, I did! If you share your own tip you could win 1 of 12 weekly $100 Shoppers Drugmart gift cards and also gives you a shot at the grand prize: A family photo shoot complete with a Samsung Galaxy Tab! Head on over to the Children's Tylenol Canada Facebook page to enter for your chance to win one of these great prizes and also check out the official rules and regulations too! Disclosure: Posted by AME on behalf of Johnson & Johnson. We received complimentary products as a thank you. AME is never obligated to a positive opinion. Opinions and comments expressed on this blog are those of the author. My son gets really bad headaches and Children's Tylenol always helps so he can sleep and feel better. It always helps my niece and nephew when they are feeling a bit under the weather. It has helped my children when they have had fevers from the flu or from cutting teeth. I've had to give my daughter infants tylenol when she had a virus. when my eldest fell out of bed onto tile floor and cut his lip open, aside from stitches, tylenol helped him out huge!!! My bff's little guy is in daycare and seems to pick up EVERY bug that goes around - Ct has been a saving grace to give both of them some comfort! We wouldnot have made it through teething that's for sure! Tylenol helped when we take our baby to get his vaccination. Helped relief the pain and the fever. Tylenol is the only thing I give my sick kids!! I love the products and helps with almost anything. I've used children's Tylenol when my daughter was teething and when she has a fever. Yes, my DD used it over the holiday when she had a fever. Tylenol has helped to relieve fevers and relieve the general "lousy" feeling of being ill.
Children's Tylenol helped my little one through a fever last month. Helped soothe my daughter's toothe ache. Children's Tylenol has helped my son through many fevers and headaches. I always have some on hand. When my son was little,,I always counted on Childrens Tylenol for when he was sick or had a fever..it worked like a charm. I always use Tylenol for my boys when they are sick,Its helped them through alot of fevers and colds. Just last week my youngest had his immunizations and was feeling the after-effects. It helped him with his fever and pain. It helped both my babies this weekend! Horrible colds! Helped my kids lots - especially since they have started school, they seem to catch everything! It helped my daughter after her one set of vacinnes. Children's Tylenol has been a great help for fevers & illnesses since my boys have been born. When my daughter has a fever, the Infant Tylenol always makes an appearance! It got the baby through her first flu season! Tylenol has been very handy for fevers and teething pain. Absolutely. My poor little guy has had some for teething pain and also after his first round of shots. It's a lifesaver! I give it to my little one before she goes for her shots! I've only used it once yet I always have it on hand. Great piece of mind. My daughter just had to take Tylenol with a high fever last week when she had the flu and it did help to bring her fever down. My daughter used to have nasty reactions to her shots. Infant's Tylenol was a life saver! Haven't had the opportunity to use Children's yet, but we now have a bottle in our cabinet ready for use! Children's Tylenol is great when my son is sick. Totally got us through the teething phase! Its been great for fever and teething for my little ones. To bring fevers down and with earaches!! It works great for taking down fevers. I always use Children's Tylenol when my kids have a fever and are sick. Great products! It's been a godsend when my oldest comes down with a headache due to her med. Definately used it for teething.